Send activities to Trello using our Triggerbee for Trello integration App. Triggerbee + Trello is great for managing onboarding activites that occur both offline and online. create new cards and you get to select what board you want to add it on. 1. 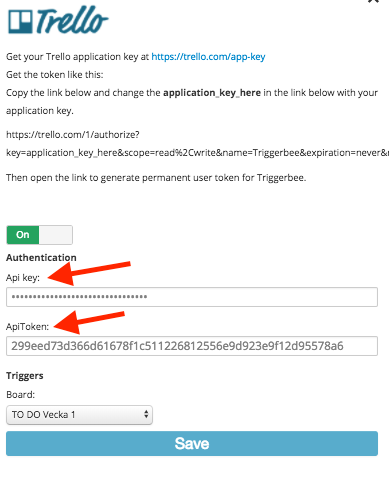 Navigate to Apps in your Triggerbee account and activate the Trello integration App. 4. change the application_key_here in the link below with your application key see that you copied in step 3. 5. Then open the link to generate permanent user token for Triggerbee.